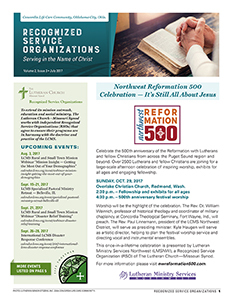 The Lutheran Church—Missouri Synod’s RSO News Update quarterly newsletter shares stories and information about independent Recognized Service Organizations. 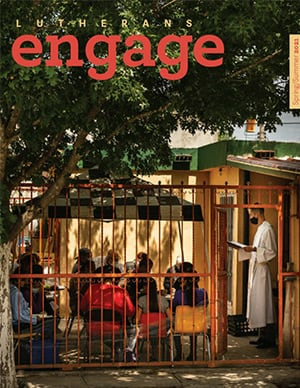 To extend its mission outreach, education and social ministry, the LCMS works with RSOs that agree to ensure their programs are in harmony with the doctrine and practice of the Synod. Contact Deaconess Cara Patton at 888-843-5267 or infocenter@lcms.org to sign up for RSO News Update emails. 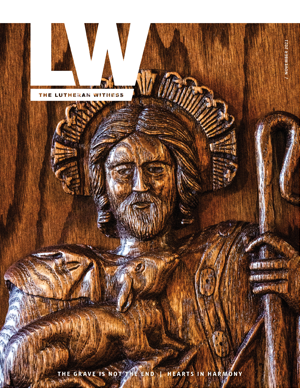 The LCMS Recognized Service Organizations newsletter for Fourth Quarter 2018 features Concordia Lutheran Ministries (CLM) in Cabot, Penn.